Sabrina comes from a multi-ethnic background. She was born in Zanzibar, Tanzania and moved to Northern Virginia at a very young age. She did not learn Swahili growing up, yet always had a desire to return to her roots and learn the language. Going back to Tanzania and studying Swahili was a way for Sabrina to learn more about her identity. 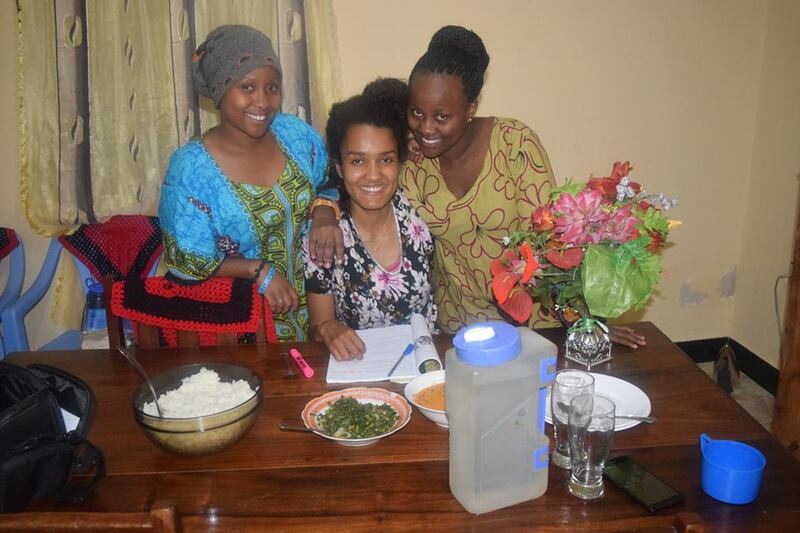 The CLS program took Sabrina to Arusha, Tanzania where she advanced her Swahili language skills in the eight-week intensive summer language program. Studying abroad without the burden of financial concerns allowed Sabrina to fully immerse herself in the host culture and develop strong relationships with her host family, teachers, and fellow scholars. Through CLS she came to understand the many benefits of study abroad and the value that potential employers place on international experience. The CLS program also helped Sabrina realize that it is possible to have a career in which she can use her Swahili language skills. Sabrina is currently continuing her study of Swahili at Boston University. Now, a CLS Alumni Ambassador, Sabrina shares her CLS experiences with others and aims to motivate students who come from a similar multi-ethnic and limited income background to apply for the scholarship. She plans on speaking at her university’s study abroad information sessions and language fairs and hopes to have her CLS experience published in her community college’s newspaper.